When it comes to a Gear Housing Gasket, why risk your engine? HHP only sells Gear Housing Gasket that are manufactured in a state of the art facility using top of the line machining and measuring equipment to ensure each part is manufactured to OEM specifications. Combine this with up to 50% off OEM prices, an industry leading 2-Year Parts and Labor Warranty and technical expertise from HHP’s certified staff, and you’ve got a quality Gear Housing Gasket that will keep you running for another million miles. 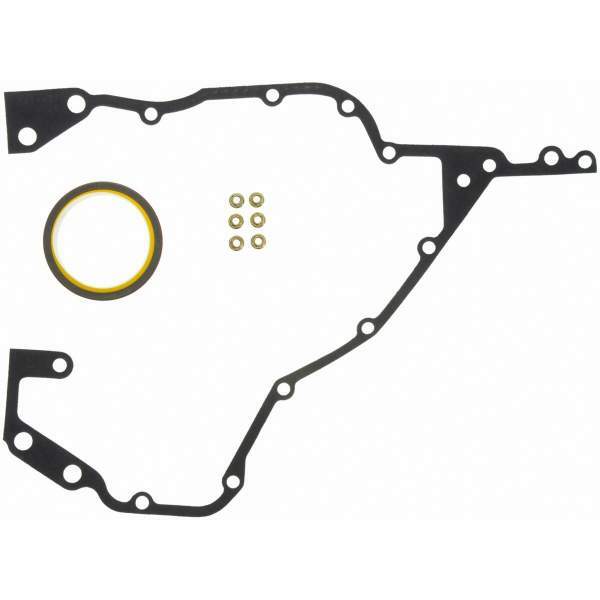 At Highway and Heavy Parts you only get the Gear Housing Gasket built to OEM specifications. We ensure that your Gear Housing Gasket is made with the correct materials giving you excellent performance for long-lasting function. You don’t have to sacrifice quality for lower pricing. With HHP you get the quality and consistency you deserve. When cleaning mating surfaces of gaskets be sure all foreign material is removed from sealing surfaces, otherwise existing debris can prevent a good seal.